Professional Analytical balances are one of the highly demanded products and Universal Scale offers Professional Analytical balances manufactured by best brands such as Axis. Professional analytical balances comes with have graphical display which shows the advanced and latest menu with easy-to-operate numerical keyboard which is helpful during the usage of special functions. Broad series of user special functions are extremely helpful in frequently repeated measurements. Its complete range of advanced features and specifications which are installed in each balance comprise numerous functions like mass changes calculations in percents, identical pieces counting and weight indication in carats. Its Standard RS232C connector lets users to be connected with printer or computer to print receipts or reports or weighing outcome statistical processing. The printed reports facilitate fulfillment of GLP commendation. PS2 input provide (in standard) writing essential information by means of computer keyboard. 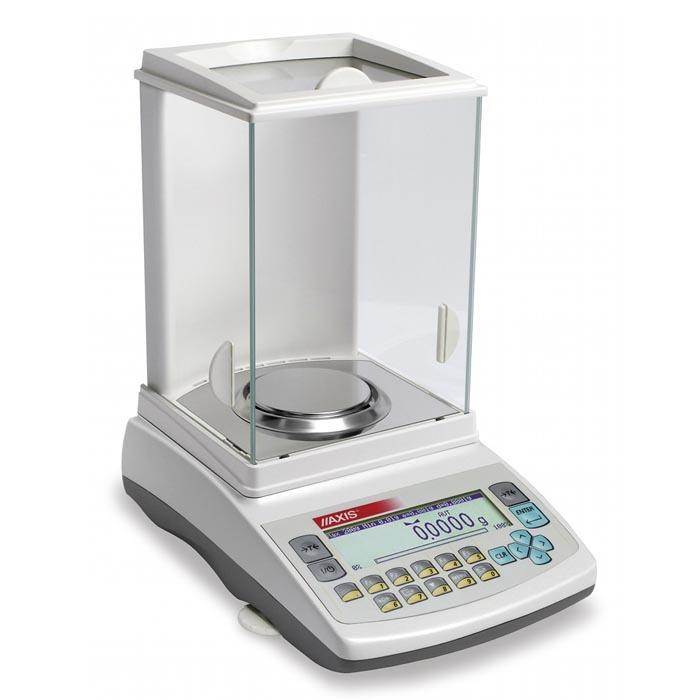 Universal Scales offers Professional Analytical balances at the best prices and rates among the other markets prices.